^ was recommended to me by a coworker and I was really skeptical but super happy I tried it. GL! This is the main reason I stayed away from medication for 12 years. That is until 3 weeks ago. I decided late 2017, after a major depressive episode, that I needed to get help after 12 years of dealing with this depression. I kept thinking that I had a handle on it, and then it coming back weeks, months or years later. I read The Depression Cure (https://www.amazon.com/Depression-Cure-6-Step-Program-withou...) about 5 years ago, and it helped for awhile, but it started to worsen again, and after awhile, getting the right diet, exercise and sleep seemed impossible because of the depression and anxiety. I started therapy about 3 months ago, and finally agreed to try medication. I started taking Zoloft 3 weeks ago, and the side effects are downright awful. I made it through the first 3 weeks though, and I'm starting to feel a lot better. 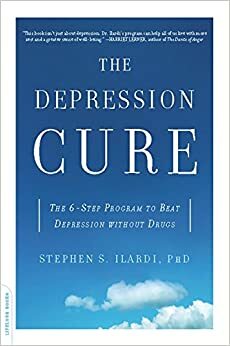 Zoloft might not end up being the right medication for me, and there might be a better one, but my goal is to find something that takes 10%-20% of the depression and anxiety symptoms away so that I can start my path to curing this beast with the methods Dr. Iliardi outlines in The Depression Cure. Once I'm at a point where I'm better, I'm going to try and ween off the medication and try to live a healthy, great life without SSRIs.